PI offers the broadest and deepest range of precision motion technologies for micro and nano precision applications. As the world leader in parallel kinematics six-axis hexapod precision positioning systems our engineers can find the appropriate technology for almost any complex positioning application. 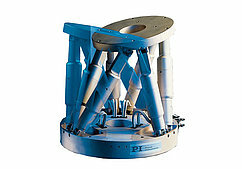 PI is the global leader in 6-axis parallel-kinematics positioning stages. 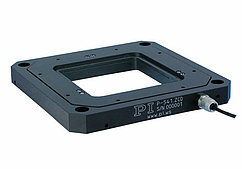 For single and multi-axis applications, a wide selection of innovative precision positioning actuators and stages are offered both for scientific and industrial applications. Ultra-High Precision Stage Applications: Air Bearing Stages provide the highest performance with extremely good resolution, repeatability, straightness and flatness. These frictionless positioners are used in metrology and positioning applications with the highest demands on lifetime and accuracy. Positioners with Mechanical Bearings: Our new line of motorized linear stages with ball bearings and crossed roller bearings is also available for vacuum and UHV environments and can be customized for beam line integration. Benefits of working with PI: access to the most advanced motion technologies: choice of drives (several types of self-clamping piezo linear motors; electro-dynamic linear motors; Hybrid linear drives; DC-servo and steppers. 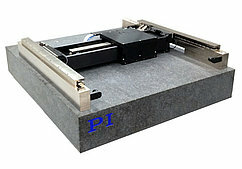 Ultra-high precision air bearing rotation stages; low profile piezo motor rotation stages; ballscrew or leadscrew linear drives for high stiffness; choice of integration level (from motor components to complete 6-Axis turn key positioning systems with controller and software); piezo flexure stage add-ons.